Interior design, fixtures, and furnishings are extremely important for homeowners. They spend a lot of their time on planning, purchasing, and construction that they often forget just how important adequate outdoor spaces can be. Especially if there is a good amount of space to work with, installing additional elements to a home, like elevated decks, should be considered to give you and your family the maximum use of your space. 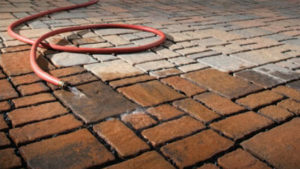 Elevated deck pavers help to control water buildup. Most of these decks are raised off of the ground using floorboards that are supported by several joists underneath them. The elevation depends on several factors including the homeowner’s preference. When it comes to raised decks, the home’s design normally defines the height that should be applied to these. For example, a split-level home or a ranch-style abode normally carries the main living area in their second floor. This is why decks are normally attached to the second story supported by anchored posts. It is also common to have stairways connected to these. If the main living area can be found on the first floor then the deck can either be installed on the same level or raised with the help of a foundation that measures about two to three feet in height. There is another option for homeowners who are interested in elevated decks but do not want something that is directly attached to the main house’s structure. In this case, a deck can be constructed by utilizing a box frame and some floorboards. This can be positioned anywhere in the open area of one’s property and moved or extended as deemed necessary. The wonderful thing about these structures is that they make a living space larger without the hassles of extensive construction not to mention the added costs of renovation. It is important for homeowners to consider the overall aesthetic of the home prior to constructing a deck may it be attached or not. It should enhance the overall look of the property, not make it tacky. Depending on where it is installed, the homeowner should also consider ample shading. If the deck is unattached and stationed underneath some trees, then shading would serve the purpose of rain protection. If it is located underneath direct sunlight then the type of shading used should offer protection against the rays and heat. This ensures that no matter what the season, the homeowner will still get the most use out of the deck. Quick fixes such as collapsible umbrellas, awnings, and sunshades are readily available from neighborhood hardware stores and home depots. These can easily transform a simple deck into a comfortable space for lounging or dining. Aside from these options, it is also good to consider having pergolas installed. These look beautiful especially when covered with climbing vines. It would be best to have this included in the plan during the construction phase of the elevated decks. Basically, pergolas are made using overhead cross beams that are supported by posts in the corners of the deck. The ceiling can be left open to allow light and air to flow through or equipped with a folding top for when it rains. As for the climbing vines, fast-growing types like grape, wisteria, or ivy make for excellent choices. If you want to improve the outdoor look of your home and give you and your family a great place to relax, play and bond, Eric’s Concrete Pavers in Reno has the experience and expertise to outfit your elevated deck with beautiful elevated deck pavers. Come check out all our services and contact us today for more info. We look forward to hearing from you.